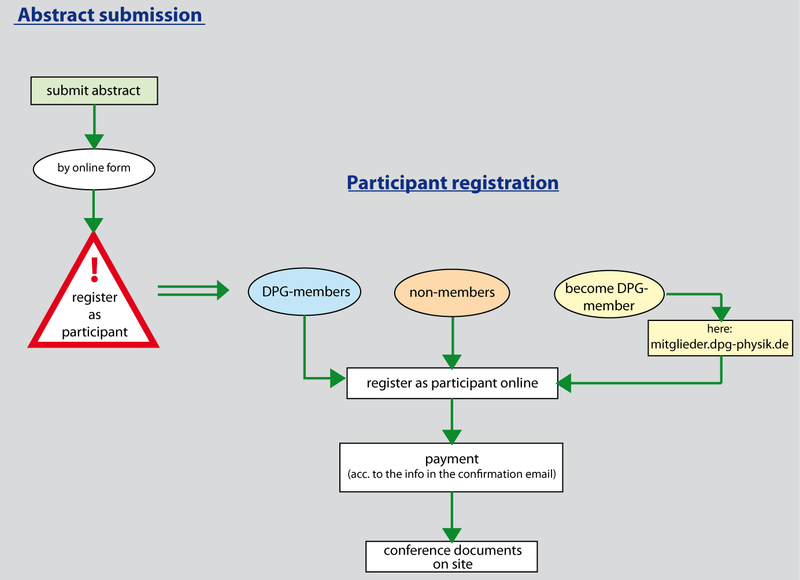 Should you decide to become a DPG-member, please apply for membership online, prior to registration to the conference. The DPG-membership-number will be issued withing 24 hours (working days). Please register online under https://www.dpg-tagung.de/goe12/registration.html?language=en. It is strongly recommended to make use of the online electronic participants registration. Payment of normal conference fee by bank transfer until the 15.02.2012. On site in the conference office by EC cards (Maestro) and credit cards (Visa and Mastercard). If possible, we would like you to avoid cash payments! All registered participants, who have transferred the conference fee in time, will receive a confirmation with bar code one week prior to the conference. The bar code allows a quick check-in in the conference office ("Express-Check-In"). In this way the queue time can be reduced significantly.